Rubens Barrichello signed Ferrari Helmet Visor. This is a great (replica!) 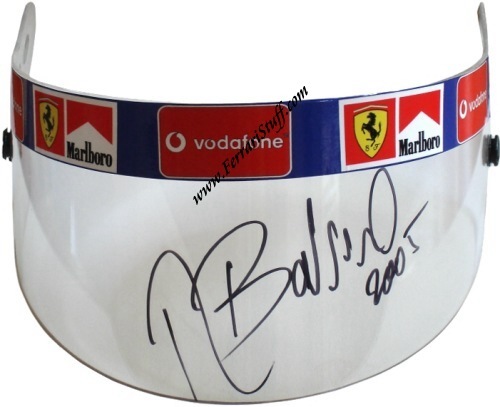 helmet visor with Vodafone / Marlboro RBS banner that has been signed Rubinho in person. Every autographed item is unique and we provide a Certificate of Authenticity with it which guarantees that this is a genuine signature.